Join us in Billings for Montana’s premier conference and networking experience. This event is custom-made for policymakers, housing authorities, community development agencies and affordable housing developers in Montana. This year’s event is a collaboration between the Montana Housing Partnership and Mountain Plains NAHRO. 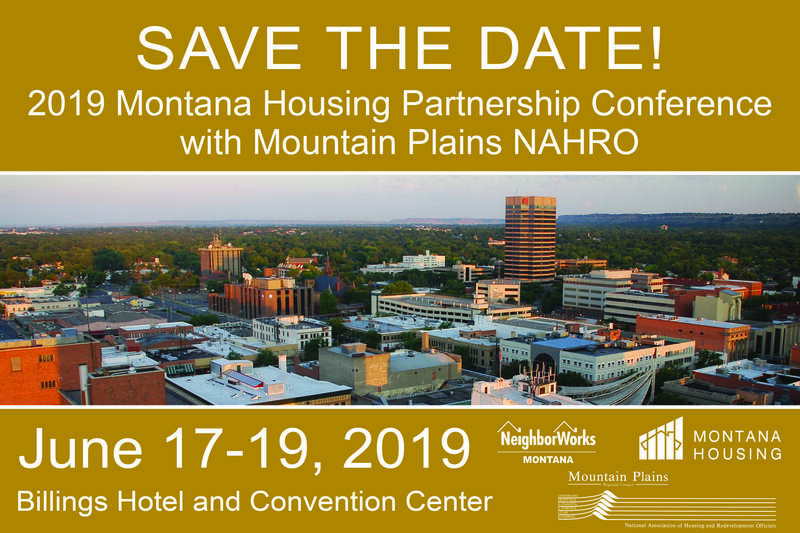 The Montana Housing Partnership is a group of housing professionals in business and government across the state, Mountain Plains NAHRO is the regional association of public housing authorities. We will have folks from Montana and a five-state region that includes Colorado, Utah, South Dakota, North Dakota, and Wyoming. Conference registration is now open and early bird discounts are available until May 22.